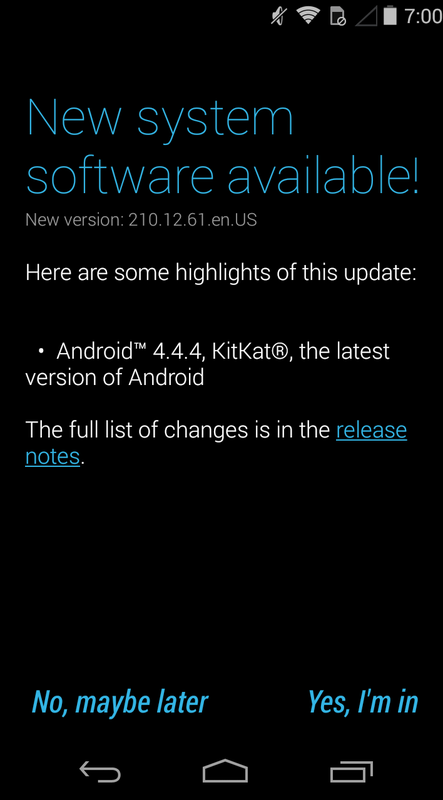 Finally Motorola Moto G 2013( 1st Generation ) got updated to Android 4.4.4 Kitkat in US , Moto G comes with Android 4.4.2 Out of the box . 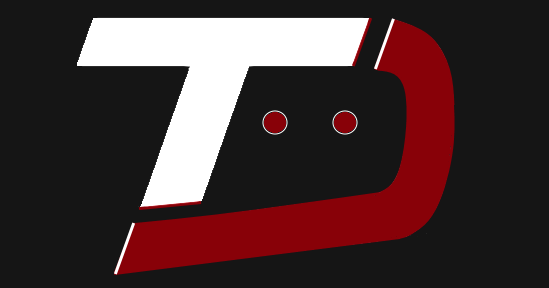 Motorola Moto G 2013 of US was last updated to 4.4.3 and got last night 4.4.4 update of 21mb via OTA . Also Motorola Is now all planned to Release Android 5.0 Lollipop to Moto series , So who knows , it may be a update to Get Moto G ready for new updates . 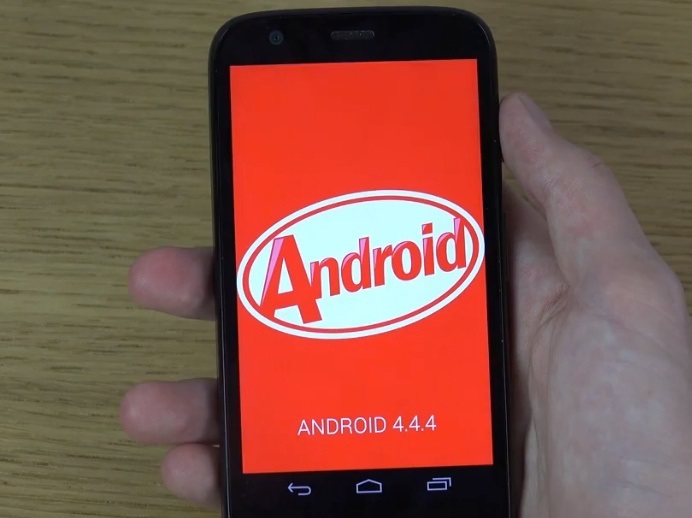 Android 4.4.4 Kitkat solves minor bugs and makes device stable .